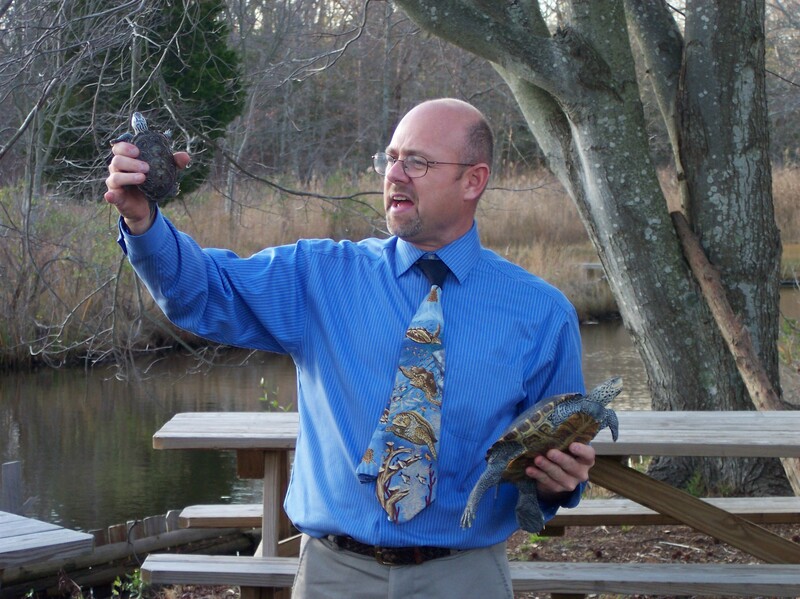 John Wnek of the MATES Academy in Manahawkin, NJ uses the terrapin turtle as an educational tool to emphasize the importance of protecting our natural resources. Discovering Barnegat Bay is an interdisciplinary guide for the historical, cultural and natural resources of the Barnegat Bay watershed. The program was created by members of the Barnegat Bay Environmental Educators Steering Committee in 2003 to provide a unique activity guide that addresses locally significant topics and resources. 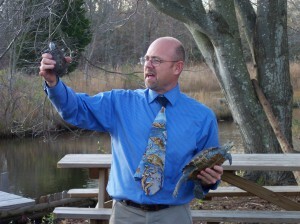 Forty lesson plans and activities designed specifically about the Barnegat Bay watershed. Activities that incorporate locally significant topics and issues into existing curricula. Lessons that are interdisciplinary and offer opportunities in Language Arts, Science, Social Studies & Mathematics. A supplemental resource for teachers that meets New Jersey State Standards. ?What will you receive as a Participant? A copy of the 340 page Discovering Barnegat Bay guidebook, full of 40 lesson plans and activities! The opportunity to investigate educational resources for students right in their own backyards and ideas for stewardship projects to initiate with students. Schools will each receive a Discovering Barnegat Bay “Treasure Chest” containing a selection of 63 items including: videos, curricular materials, posters, resource guides, maps and more! Registration fee is $35.00 per teacher, which includes purchase of the guidebook. We request a minimum of ten teachers in order to schedule an in-service. Workshops can be customized and scheduled to fit the needs of the school and staff. ?18 Agencies and Organizations partnering to bring all the collective educational resources together.